President Juan Carlos Varela published an open letter on the Panama Papers scandal without making a single, explicit reference to his friend’s scandal-hit law firm. Ramón Fonseca Mora forms part of the President’s inner circle, and has been a key advisor since the 2014 election campaign. 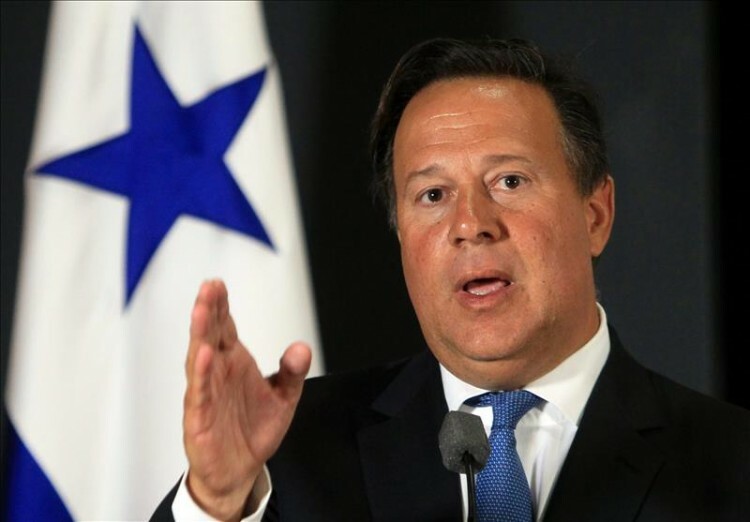 President Juan Carlos Varela yesterday published an open letter in the New York Times, addressing the scandal that has hit the country in the wake of the publication of the so-called Panama Papers. Arguing that tax evasion is a global issue, President Varela managed the rare feast of avoiding any direct reference to law firm Mossack & Fonseca, the very source of the leaked documents. Complaining that the case has been unfairly dubbed the Panama Papers because of their provenance, he added his voice to that of other world leaders in denouncing the global nature of tax evasion. The President’s declaration lay bare the underlying issue at hand: namely that Messrs. Ramón Fonseca Mora and Juan Carlos Varela are very close friends indeed. Such friendship is arguably proving an impediment in as much as openly naming the firm that stands at the centre of the scandal that has rocked the country. This is a pattern that has become evident in all public statements made by the President thus far. The bond between the two men is strong. In fact, one of Varela’s first decisions upon being elected to the Presidency of the country was to name Mr. Fonseca Mora as ministerial advisor. Mr. Fonseca Mora stood by the President at all key moments of his political life, advising on his communication and public relation strategy. He was also a campaign donor and was responsible for managing part of the ruling party’s finances. Unofficial sources from the Presidential Palace confirm that Mr. Fonseca Mora is part of the inner circle of the President, alongside his brother, José “Popi” Varela, a member of the National Assembly; Adolfo Valderrama, a former employee of the Varela family company; Temístocles Díaz, a ministerial advisor; and Stanley Motta, Mr. Valera’s principal campaign donor. Mr. Fonseca Mora is allegedly also responsible for devising the core of the strategy of judicial persecution aimed at the political enemies of the current government. He has supposedly been aided in this task by the current head of the Security Council, Rolando (“Picuiro”) López. As a result of this web of relations, Panama as a country is being used by President Varela and his government as a shield to protect law firm Mossack & Fonseca from the barrage of international condemnation that has followed the leak of 11.5 million documents known as the Panama Papers. In the midst of an international crisis, the government has chosen instead to spend thousands of dollars on advertising campaigns promoting the natural attractions of the country, which are undoubtedly many but perhaps beside the point given the current circumstances. In spite the Panamanian government’s declarations of compliance with the spirit and the letter of international regulations aimed at preventing illicit activities, Gerardo Reyes, one of the members of the International Consortium of Investigative Journalists, begs to differ. Speaking to Univision, he stated that “what has emerged so far is just the beginning of a series of publications involving the Panamanian law firm - a series of emails that make it plainly obvious how [Mossack & Fonseca] advised his clients on how to conceal their identity and shield their activities”. While multiple offices of Mossack & Fonseca have been raided by the judicial authorities of the respective countries, in Panama all that has happened so far is a mere visual inspection of its Panama City offices by the Senior Prosecutor for Intellectual Property, investigating the alleged hacking of the firm’s database. Yesterday, Public Ministry as well as Police force personnel raided the offices of Mossack & Fonseca in Peru, which are located opposite the Panamanian Embassy in Lima. The home of Mónica de Ycaza Clerc, legal representative of Mossack & Fonseca in that country, was also searched by the Peruvian authorities. Meanwhile, the main offices of Societe Generale, one of France’s main banking institutions, were also the target of the French judicial police. The French bank is reported to have purchased approximately 1000 offshore companies from Mossack & Fonseca, though it claims that only a few dozens are currently active and that they have been managed in a transparent manner. In neighbouring country Switzerland, the Geneva public prosecutor announced a criminal investigation into an affair linked to a painting by renowned Italian artist Modigliani, which was supposedly stolen from his rightful owner, an Italian jew, during WWII. The painting was sold at auction to an offshore company created by Mossack & Fonseca. Multiple political commentators have criticized President Varela’s determination to protect the interests of his friend, at the expense of the interests of whole country. For one, political analyst Mario Rognoni advocated that, though the desire to shelter a friend is only human, “in relation to the Panama Paper scandal, President Varela should keep his distance from Mr. Fonseca Mora. In fact, he is doing the opposite, betting on the fact that the actions of Fonseca Mora are legitimate: I fear that this may backfire, as the evidence suggests that the firm was aware of illicit activities”. According to Mr. Rognoni, both Mr. Varela and the Panamenista party will pay the price of this misguided defensive posture. For his part, former Panamanian ambassador to the Organisation of American States, Guillermo Cochez, claims that the government’s reaction has been week as a result of its attempt to shelter Mr. Fonseca Mora. Earlier on today, the National Front for the Defense of Economic and Social Rights called for a protest in front of the Mossack & Fonseca offices in Panama City, to demand a proper investigation of the supposed wrongdoings. “We want to know the names of all other firms involved in this business”, a spokesman said.